Automobile Insurance - Ocean Harbor Casualty Insurance Co. This covers your legal liability for bodily injury to others (Bodily Injury Liability) or damage to their property (Property Damage Liability). Most states require you to have Property Damage Liability coverage. The principal exclusions (items not covered by your policy) for this coverage are: (1) autos owned by you or furnished or available for the regular use of you or your resident relatives, which have not been specifically covered under the policy, (2) vehicles with less than 4 wheels, and (3) claims for injuries to family members. This covers you, your family members and certain others, for bodily injuries resulting from auto accidents, without regard to fault. Payments are for 80% of medical expenses, 60% for loss of income, replacement household services and (if the limit has not been exhausted by other benefits) a death benefit. Personal Injury Protection is also required in most states. 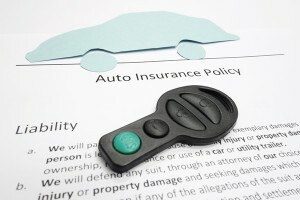 The principal exclusions for this coverage are injuries sustained in autos you or your family members own which have not been specifically covered under the policy, and injuries to other vehicle owners required by law to have their own coverage. This coverage pays for bodily injuries to you, resident relatives and certain others, resulting from the negligence of others. It pays when the at-fault party has: no liability insurance, or liability coverage with limits not adequate to pay for the damages incurred, or if injuries result from a hit-and-run vehicle. This covers damage to your car resulting from upset or impact with another object. Provides coverage for damage to your car resulting from fire, theft and other direct losses not excluded. The principal exclusions are for damage to certain electronic and sound equipment; tapes and other media; radar detectors; undeclared camper bodies; pre-existing damage; and customized equipment. Comprehensive and Collision coverages are NOT provided for any rental vehicle or for any vehicle while used as a temporary substitute for a vehicle you own which is out of normal use because of its breakdown, repair, servicing, loss or destruction. Auto policies only offered in Florida and California.